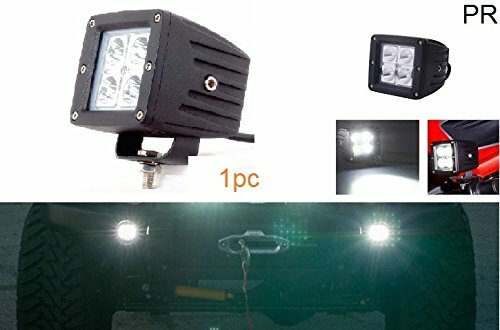 PR Fog Light Assembly White Light 4 Led Square 20 Watts FOG LIGHT/WORK LIGHT BAR SPOT BEAM OFF ROAD DRIVING LAMP 1 PC-Mahindra Bolero Type 2 (2007-2009)@1320 Rs [Mrp:-1999] - Onlinedeals.discount - A leading product discovery website. Find the true prices of products, read reviews and buy top brand products at reasonable prices. Check Seller Name as Blue Star Auto Stores for Original PR branded products. Fits easily with its clamps provided in the package.Please check your vehicle compatability while placing an order.